Help build a world where everyone has a decent place to live. 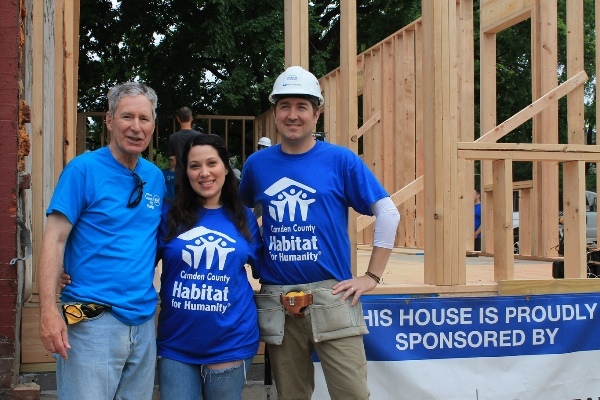 Volunteer with Habitat today! Because of the help of people like you, whole neighborhoods improve. Through this transformation, families achieve the strength, stability and independence they need to build a better life. Learn how you can join us as a volunteer by choosing from the options below. No construction experience necessary. Assist with Habitat Homebuilding No previous experience necessary. Sort donations, take inventory, assitst customers and arrange merchandise at our discount retail location. 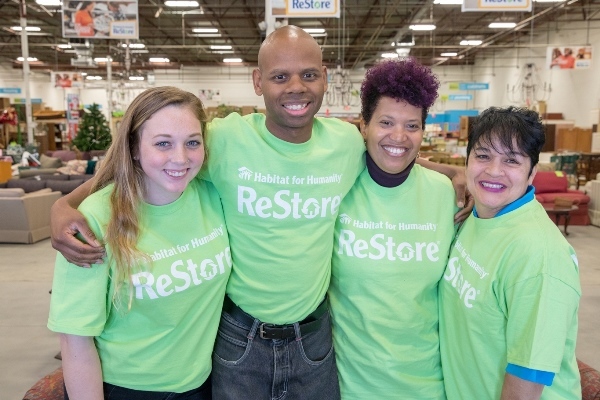 Proceeds from the ReStore support home building. We love volunteer groups! 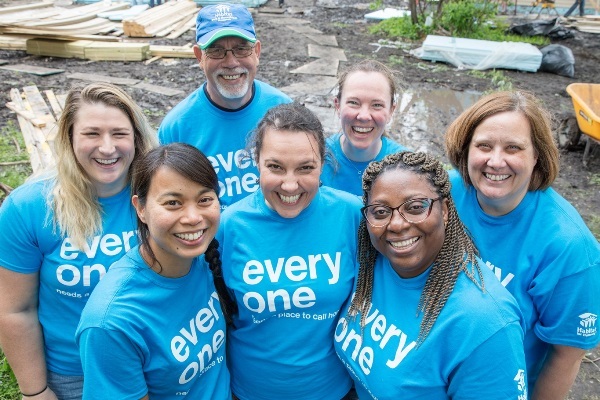 Interested in giving back through your workplace – gather your co-workers and join us on a build site or at the ReStore! Younger generations have always inspired the rest of us to better our world. That kind of idealism can be infectious, and when paired with tangible service, real change can occur. Our Youth Programs are the intersection of aspiration and action. For information on youth volunteering, call Larissa Willison at larissa.willison@habitatcamden.org.